Our Natural Beauty is what we are born with. It can get covered up in many ways as we go through life. Some of that is beyond our control but much of it we can do something about. Here are some things we can do for our Inside Beauty and our Outside beauty to maintain the natural beauty we were born with. One way to enhance your natural beauty is to give your body good food. When we eat healthy foods we look healthy, radiant and alive. Our food sources have become devoid of nutrition over the years through processing and food additives. Much of what is sold as food isn’t even food anymore because it has been processed so much. It is sobering to think that the life expectancy of the current generation is less than ours because of the food they are being fed. If you are eating and serving processed foods you are doing a disservice to your body. It is important to learn what foods are good and what to avoid. Fresh is best. If you can eat organic that is even better because you are assured that there are no additives and if you can eat raw food that is even better. Eating raw foods is the most alive food you can get. Throw the microwave out and stay away from the processed food isle and get a good whole foods cookbook and you are taking steps to enhance your health and your beauty. It is also important to detoxify your body inside and out. I have written about this subject before and here are some simple things you can do to detoxify. Toxins in your body rob you of your energy, radiance and vitality, the ingredients that are our true beauty. One easy way to do that is to take greens. Greens are a powered form of green fruits, vegetables and herbs that you can purchase at the coop or Whole Foods store that you can put in water or juice and drink. This will help your body released toxins stored in the organs and also keep it alkaline so that you can avoid getting sick. Disease can’t live in a properly alkalized body. I take greens every day and I choose Greens from It Works because they taste great and contain 8 servings of fruits and vegetables, but any green product you choose will help. If you detoxify your body you will optimize your well-being and your beauty will shine. Did you know that the skin is the largest organ in the body and it mirrors your inner well-being. Our skin is a living, breathing part of our bodies. Not only does it performs many vital functions including protection from toxins in the environment, sensation, heat regulation, evaporation control, storage and synthesis, and absorption of oxygen, nitrogen and carbon dioxide and water resistance and in many ways, helping us define who we are. By nourishing skin on the outside, we are also protecting our insides. Skin topography is the most important indicator of a person’s age. The quality of skin is one of the first physical factors we notice upon meeting someone. Following a healthy skin care regime can take years off a person by slowing down the natural signs of aging. Cultivating healthy and vibrant skin immediately increases a person’s natural beauty as well. Every day our skin is exposed to a number of environmental toxins. Factors like UV light , smog and smoke trigger a cascade of free- radical activity in the cells. Over time this can lead to dehydration, wrinkling and sun damage all of which take away from it’s natural beauty. Several factors contribute to this appearance, such as adequate nourishment, hydration, sleep, exercise, cleansing, moisturizing and sun protection. The best cosmetics actually improve the health of your skin by protecting and nourishing healthy skin cells. One of the best and easiest detoxification system I know is the one I use on a regular basis. 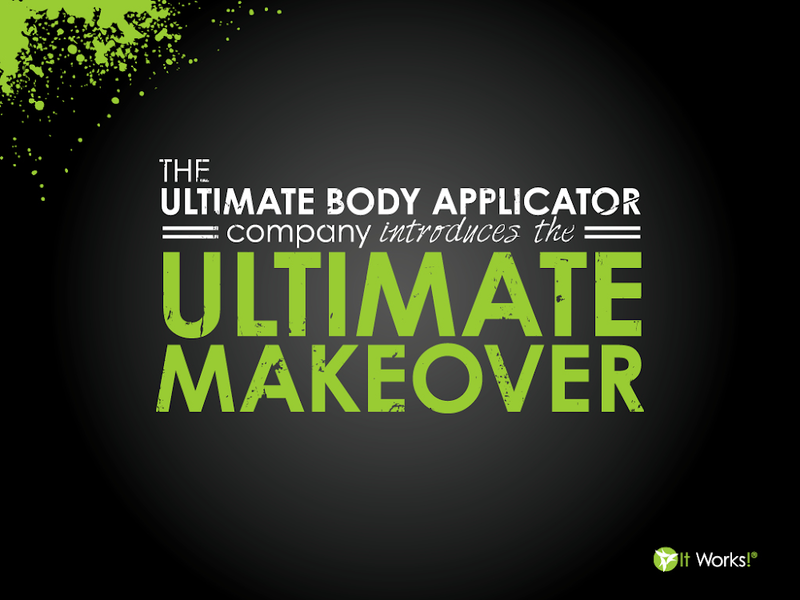 The Ultimate Body Applicator was created as a detoxification product to release toxins from the fat cells where they become encapsulated. This is such an easy product to use and you won’t experience the typical side effects you get with other detox systems. Not only does it detoxify but it hydrates, tightens, tones and firms the skin so it has a slimming effect too. The cosmetics and lotions you apply to your skin are absorbed into the body just as the foods and drinks you consume. Many cosmetics and skin care products have harmful ingredients that you skin is going to drink in so you want to be careful what you use. Healthy skin supplements can be found in the form of vitamins from a health food store or from natural food sources containing skin protecting antioxidants. One simple yet vital step you can take to support your skin is to drink plenty of water to hydrate your skin and offset the lack of humidity. Alcohol, coffee and tea dehydrate the body and soda is not only hard on your skin but your entire body. If you really don’t like the taste of water, add lemon or lime juice, or eat more foods with a high water content. Another simple thing you can add is coconut oil which is full of antioxidants and anti-inflammatory properties. It is also an effective moisturizer when applied directly to the skin. Food-based facial masks can be nourishing. Avocado mashed with a teaspoon of honey and a teaspoon of flax seed oil softens the skin. A mask of lemon juice and rosewater or a paste of ground mint leaves may have some lightening effect on darkened, sun-damaged skin. Rinse each mask application with warm water after 15 minutes. Exfoliate your skin once or twice a week and your face as needed to remove dead, flaky skin. This can be done with a dry brush before you enter the shower so the dead skin is washed away. I like to do it everyday to keep my skin healthy and help move toxins. There are many great skin care products on the market. Follow this link to learn about the ones I use; My Skincare. These are just a few things that you can do to enhance your beauty inside and outside your body.